Cyprus is home to a long and storied history. The island’s heritage is something that can be seen to this day in its many important historical sites, including ancient Roman ruins, Hellenistic tombs, and Byzantine castles. On top of its rich history, it’s also home to some of Europe’s greatest beaches. If you’re planning your visit to this Mediterranean island and are hoping to discover its best surf and sand spots, then here are the beaches that need to be on your list. 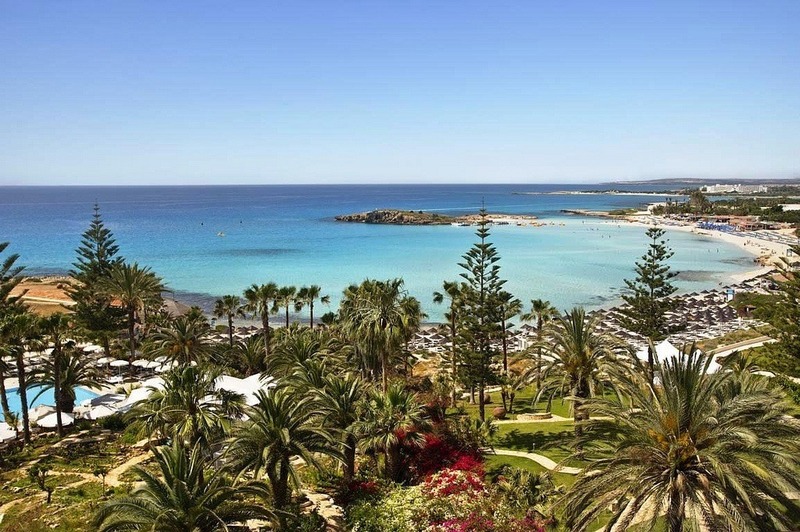 If pristine blue waters and pure white sand are what you consider paradise, then Makronissos Beach fits the bill. This hot-spot provides visitors with the perfect place to both relax and unwind . Chill out on a beach chair with a cocktail in hand, or go for a swim in the gentle warm waters, it’s up to you. At the tip of the peninsula you will also find the Makronissos Archaeological Site, which contains 19 cut tombs dating back to Roman and Hellenistic times. This blue flag designated beach is located in the town of Ayia Napa, and is named for the small islet located just off the coast. Nissi has become one of the most popular beach destinations for those looking for the best nightlife on the island, including the famed Nissi Bay Beach Bar. For those less interested in partying, this beach still has plenty to offer, including a variety of watersports, such as windsurfing, and water-skiing, as well as two beach volleyball courts. Known in English as Aphrodite’s Rock, Petra tou Romiou is a sea stack found along a rocky stretch of coast a few miles southeast of Paphos. According to local legend, this rock is the birth site of the goddess Aphrodite, and anyone who swims around the rock will be blessed with eternal beauty. But beware, it is recommended that you avoid swimming here as the water tends to be quite rough. 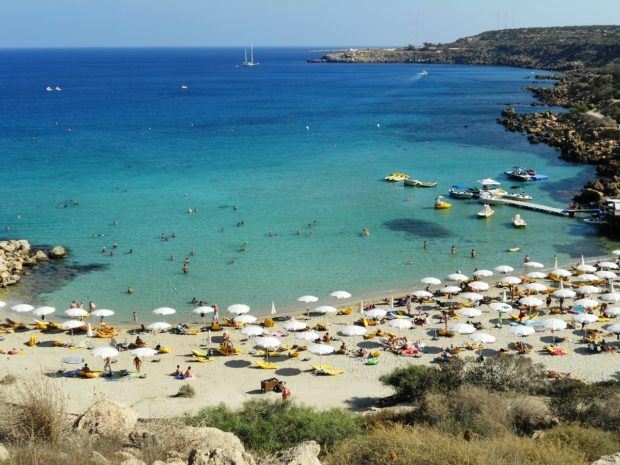 Located in a sheltered bay between Protaras and Agia Napa, Konnos Bay tends to be a bit quieter than some of the other resort beaches. 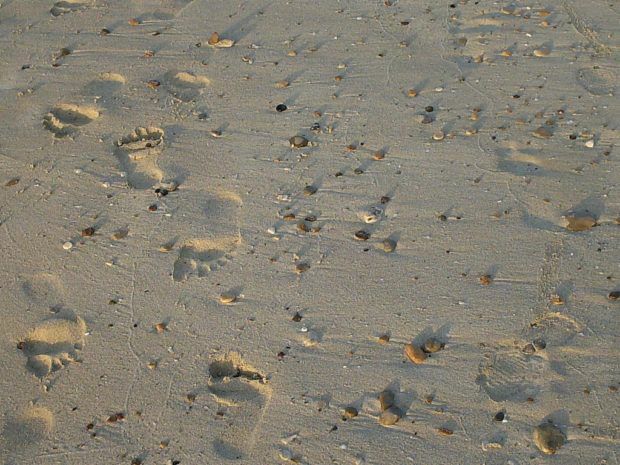 It still has plenty of amenities as beach chairs, umbrellas, and even a snack bar. The beach is also part of the Cape Greco National Park, and visitors will be delighted to see the lush green pines that fringe the bay and add to its natural beauty. More commonly known as Kapparis, this small beach is untouched and relatively unknown in comparison to most of the island’s other beaches, making it the perfect place to head to in order to enjoy some privacy. This small sandy cove has stunning coastal views, including the occasional peak at the local firemen who come here to train. If you’re looking to get the most out of your Cyprus holidays, then any of these sandy spots are certain to provide you a fun and relaxing time in the sun. Start planning your get away today! All images by CTO Zurich used under Creative Commons Licence 2.0. Younnas Christopoulos is a Greek travel writer and amateur windsurfer. When he’s not writing or catching waves, he’s usually to be found in his family’s tavern planning his next adventure.